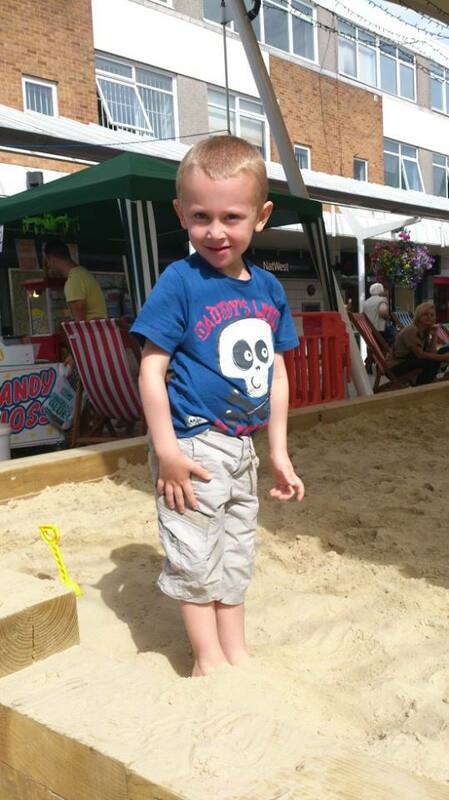 Well yesterday we visited "the beach" in Yate shopping centre. Its basically a VERY large sandpit with lots of buckets spades and other beach toys for the kids to play with and lots of deck chairs for the mums and dads. We visited with a fellow blogging mummy Viccy from the fab blog http://jellyroseyate.blogspot.co.uk/ with her lovelychildren Tristan and Scarlett. James and Tristan had great fun running round burning of some of that endless energy toddlers seem to posses lol! 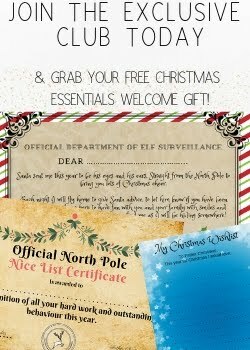 Its a really fab idea by the shopping centre as not only does it provide a place to take the kids in the 6 weeks holiday that is local its also FREE!! 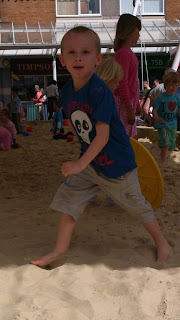 The shopping centre also run activities at "the beach" including a treasure hunt, sand sculpture and a beach party (with free candy floss and popcorn, giveaways, music and games!). 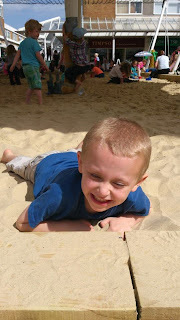 A great idea and hours of fun for the little ones so I must say well done to Yate Shopping centre. 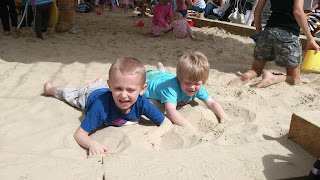 Here are a few pictures of James and Tristan enjoying the sand.